Three state mountain views or grazing deer, the new “MountainView Room” offers the finest dining in the high country with enjoyable views. 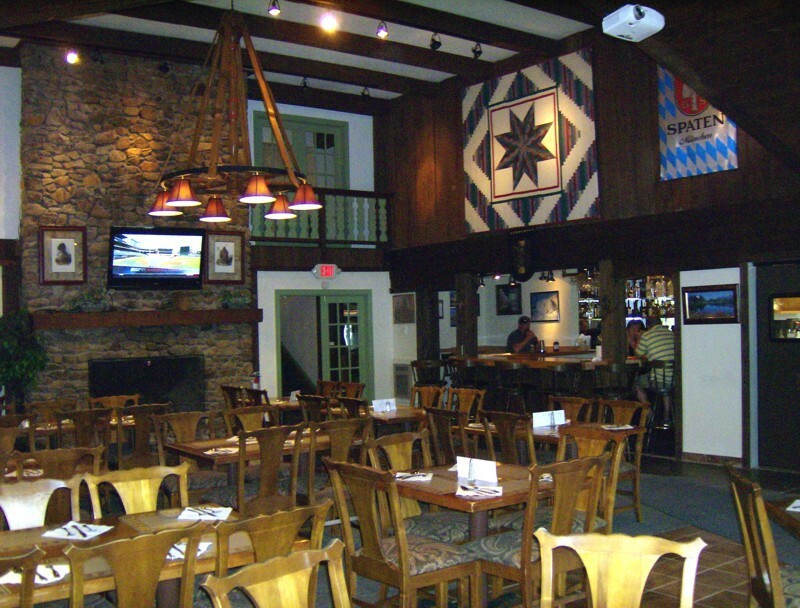 Famous also is the rustic “Old Fireplace Room and Bar”: tasty appetizers, juicy burgers, quesadillas and “Mile High Club” sandwiches combined with the largest selection of draft beers, fine wines, and mixed drink favorites make it the “In Place” in town for residents and guests alike. Always open for lunch and dinner. Handicap accessible. Located in the Top of the Beech Inn & Conference Center, Bullwinkles Restaurant offers great hearthstone pizza and contemporary Italian cuisine. Enjoy the charming atmosphere in the stunning old Moose Lounge and watch sports and other great events from every angle on 50 in TV’s with a 100 in main screen. AC and handicapped accessible.